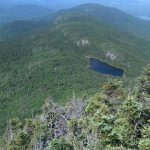 During the spring of 2014, in a backcountry Appalachian Trail shelter under a canopy of poplar trees and a star-filled Tennessee sky, Richard “Hemingway” Withrow dreamt again of Mount Washington. 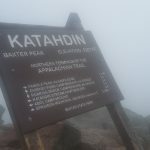 While fellow thru-hikers sleeping nearby were having brilliant visions of reaching Maine’s Katahdin—the eventual final destination of their 2000-mile treks—his resting mind kept returning to another peak 300 miles southwest of the A.T.’s end. 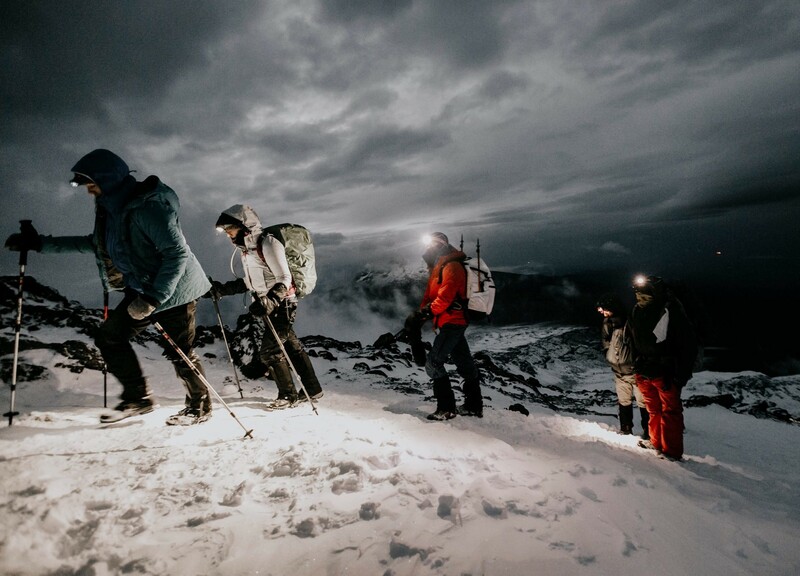 Rich had never been to the Northeast’s highest summit, and he wondered why he had these recurring vivid dreams of it. Even more puzzling was why a peak known for some of the world’s most dangerous conditions was bringing him dream which flooded him with a sense of safety and contentment. Over 1,700 miles later in Hanover, New Hampshire, tendinitis in his knee forced him to reluctantly take a rain check on the A.T. Even though he had aimed to leave self-expectation at the trailhead, the injury was deflating. He headed home, but was bound to return. Meanwhile, Ryane Griffis was living in New Hampshire’s Mount Washington Valley with her rescue dog Simon. As often as she had a day off and could get Simon to leave the couch, they were eagerly exploring the White Mountains together. Though the area was home to plenty of guys her age, the bar scene was getting tiresome for a girl who would rather be out in nature. Ryane wanted to find someone with whom she could share a more sincere connection, so when her friend suggested a dating app, she giggled with doubt. Then she signed right up anyway. 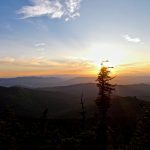 On March 23, 2015, Rich was in Georgia to once again launch a thru-hike of the A.T. 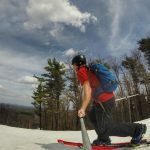 Looking to meet new faces (and maybe even sneak in a free load of laundry) in the trail towns, Rich also decided to see what online dating had to offer, filling his bio with stories from his thru-hikes. 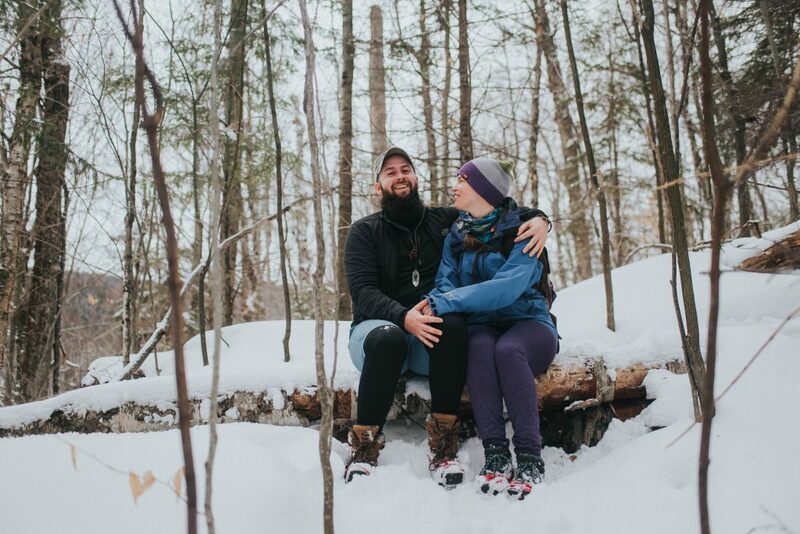 By the time Rich reached Lyme, New Hampshire, in August, he and Ryane had found each other. Over the next week, as he made his way further north, they messaged each other about the important stuff (spirit animals, astrological signs, etc.) 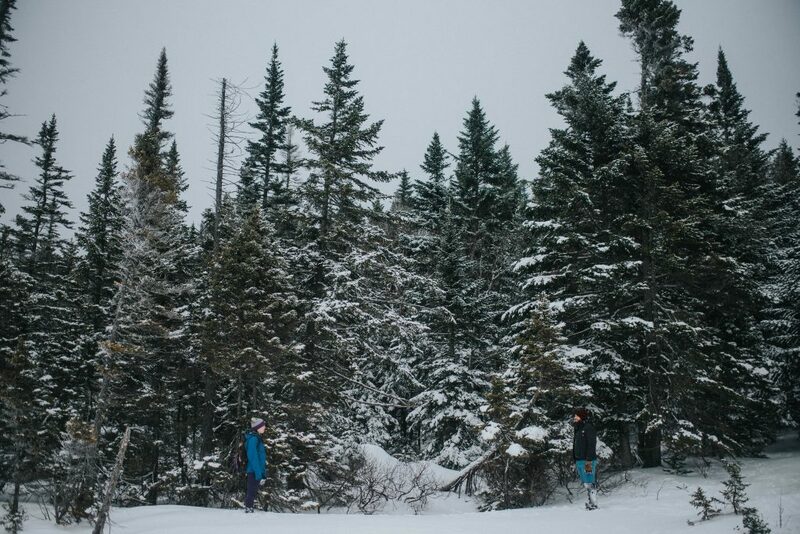 and planned to meet up in Crawford Notch. Rich thought fondly back to his dream from the year before, seeing it as a sign of the good that could come right in the valley of the mountain that kept appearing to him. On a rare but auspicious day off for Ryane, Rich was descending from the Zealand Hut, so Ryane (dragging Simon along for meeting-a-stranger-from-the-internet safety) began the trek on the Ethan Pond Trail to meet him. Heavy rain seemed to have every intention of spoiling the day, but five miles in from Ryane’s starting point, 1,830 miles from Rich’s, and even farther away from the artifice of modern dating, they happily found each other just as the sun was breaking through the clouds. 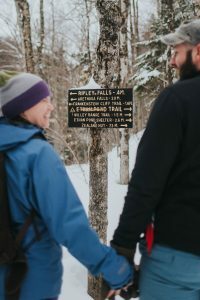 They shared a block of Cabot cheese on their way down together, and near the base of Mount Washington, they began to fall in love. The following day, Rich readily took a “zero” (what hikers call a zero-mileage day). While it takes most thru-hikers a few days to get through the Whites, he dallied his departure as much as he could. Over the next week, Ryane rushed to work with a newfound glee while Rich played slackpacker, continuing his adventure, but hitchhiking back to her place every night. On her next day off, they took to the A.T. together, summiting North and South Carter, unwilling to admit that it was probably time for Rich to continue on. A few days later, after an honest “I really miss you” text message, Ryane started making plans to travel north to meet Rich in Rangeley, Maine. On a rainy summer night, while a bar-full of hikers bestowed Ryane with the honorary trail name “Swank” (for her resemblance to the actress Hilary), they began to plan their future together. 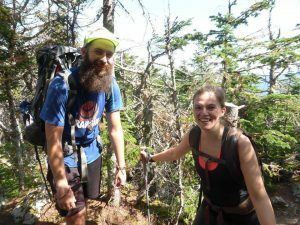 While they spent the night camped out in her Jeep, it was decided—They both liked New Hampshire, they adored each other, and after he summited Katahdin, he would come back to be with her. During the three weeks following, Rich took advantage of every spot of cell service and called Ryane on each peak. 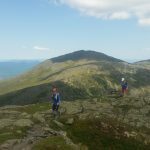 On a memorable September day exactly one month after they met, Rich completed the Appalachian Trail, made his way to Ryane’s place, and never left. Over a year later, Ryane, Rich, and Simon live happily and simply in the Mount Washington Valley. They dream of one day opening a hostel for hikers of the Appalachian Trail and providing trail magic in whatever way they can. In the meantime, they’ll be sneaking in hiking adventures during free moments and adding to their list of fun memories. The hikes they’ve done so far have brought unique tendencies to light. Ryane likes to get to the trailhead and go, and Rich is more of a contemplative climber, but their differences have provided the balance that makes their bond so powerful. Above all, their love is built on trust, communication, and following your intuition on the trail, leading you to where you belong. 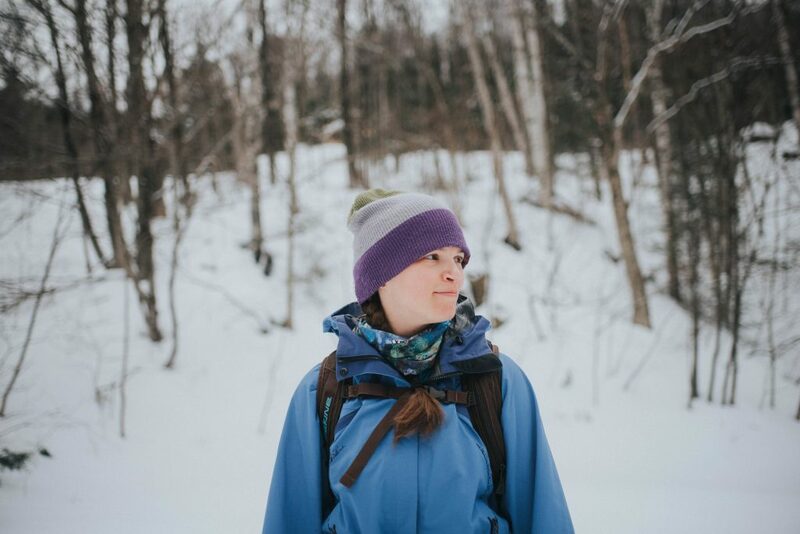 Devon is a writer and graphic designer living in New Hampshire’s White Mountains with her fiancé and two dogs. 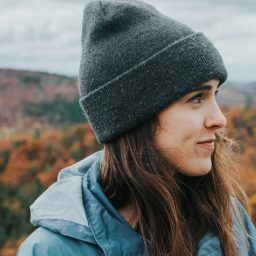 When she’s not working on her computer beside a cozy wood stove, you can find her on the hunt for new trails to run, hike, or ski. Check out her design work at www.devigndesign.com.